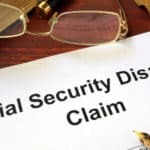 If you are receiving social security disability benefits, or have been denied and are appealing a claim, it is good to know what you can expect for regular payments. Given that these benefits are a lifeline for so many in need, being able to budget around them is important. Based on the increase in the Consumer Price Index (CPI) from the third quarter of 2017 through the third quarter of 2018, it was decided that there would be an SSD cost of living adjustment for 2019 in Wisconsin – and across the country. The official increase will come in at 2.8 percent for 2019, meaning those receiving benefits can expect their checks to increase as of January 2019. How are Cost of Living Adjustments Calculated? While you may agree that cost of living has increased, you may not know how the figure is actually arrived at. The CPI actually measures the average change in prices that are paid by consumers for goods and services. The consumers that are used in this study actively represent approximately 87 percent of the United States population. The purchases that are measured include food, clothing, housing, transportation, education, medical care and other purchases. There have been cost of living increases from the Social Security Administration almost every year, with a steady incline from 1975 to 2008. During 2009 and 2010, there actually wasn’t any increase, but it hit a large bump in 2012, coming in at 3.6%. There was again no increase in 2016. The 2019 bump is a positive signal for many. What does this mean for the payments. Take a look at some of different amounts that will be available, depending on situation, to get an idea on the effect of the change. If you have been denied the benefits you have earned and need help on the next steps, don’t hesitate to contact Tabak Law. The consultation is free and there are no fees unless we win.